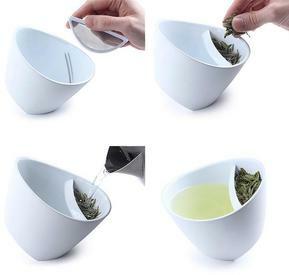 Check out this cool & unique "Tipping Teacup" which allows you to brew loose leaf tea right in your cup! Super hot this season, awesome gift for any tea lover! !